Television’s biggest names in comedy and drama wait for the Primetime Emmys all year. Well, the wait was finally over as the anticipation came to a halt Sunday night. SheKnows has your hook-up to all you need to know about the 62nd Primetime Emmy Awards including the wins of Mad Men and Modern Family, just as we called it! The 62nd Primetime Emmy Awards kicked the party off right with host Jimmy Fallon taking on a spoof of the night’s most celebrated show — Glee. His task in the stunning opener? Jimmy Fallon and the cast of Glee had to form their own glee club to win the money to get into the 62nd Primetime Emmy Awards. Brilliant, I know! Cue the music and the night’s most famous stars. Tina Fey, Joel McHale, and Hurley from Lost, among others, joined Fallon and his misfit cast from Glee singing and dancing down the halls of the Emmys. But wait it gets better. Add the shunning of Kate Gosselin, Betty White as Jon Hamm’s raunchy dance teacher and Jimmy Fallon being slushied by Jane Lynch, and it was an Emmy opening made for the history books. The opening number set the precedence for a down to earth and interactive night of excellence. The 62nd Primetime Emmy Awards had a vibrant vibe with Jimmy Fallon’s writing input and styling. The use of musical parody to introduce the five categories of television was a genius addition that set the show apart from years past. Adding to the clever idea was the use of big name stars like Kim Kardashian and Julianna Margulies to sing the category intros with Fallon. It felt like one big variety show in a way. The use of Twitter to introduce presenters was also a new and unique way to get home viewers involved in the process. One home viewer tweeted, “I’d hit that,” as Tina Fey walked to the podium. Hey, Jimmy Fallon issued the challenge to watchers and they didn’t fail. Twitter, witty dialogue, and musical comedy weren’t the only things happening at this year’s Emmys. Check out this girl’s top moments provided by some of the big winners of the night. In a stunning purple gown, Jane Lynch took down the competition Sue Sylvester style, as she took home the award for Best Supporting Actress in a Comedy Series. As gracious as ever, Lynch thanked her wife Linda and gave credit for her parents’ upbringing in musical theater. Jane Lynch garnered the first award of the evening for Glee. The Emmys pushed the envelope in many aspects, but one that leapt off the page was the introduction for the winners as they walked to the stage. 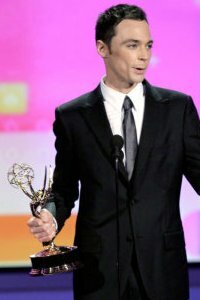 Jim Parsons of The Big Bang Theory strutted up to grab his Best Actor in a Comedy Series award to quite the intro. The announcer casually advised, “Nerds everywhere are setting cars on fire and then using their inhalers.” Jim Parsons’ speech was particularly heartfelt because he really felt nobody would vote for him. Kudos to the dorks of the world. It really was Edie Falco’s time to shine. The gorgeous actress took home Best Actress in a Comedy Series. Edie Falco has done a stellar job in her role on Nurse Jackie and there couldn’t have been a better time for her to be acknowledged. Now, Conan O’Brien didn’t win for Outstanding Variety, Music, or Comedy Series. The Daily Show with Jon Stewart did. So why put it in the winning moments section? It had to be mentioned. Many people were wondering what Conan O’Brien would say had he been given the mic. Now we’ll never know. Coco fans might feel a little jaded come Monday morning to not have heard from their leader, but we’re sure O’Brien is just fine. The Bob Hope Humanitarian Award was graciously given to the silver fox, George Clooney. Julianna Margulies presented her friend with the symbolic trophy for his work and efforts in giving back during trying times. George Clooney used his charm and humor to accept the award that clearly brought tears to the actor’s eyes. “Here’s hoping that some bright person in this room or at home watching can keep putting the spotlight on these pressing issues after the cameras have stopped rolling,” George Clooney urged. Jon Hamm might have gotten locked out, but Mad Men sure didn’t. 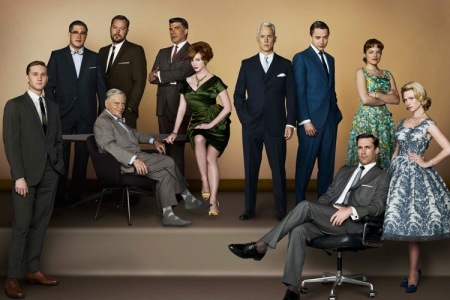 The popular AMC show took home Outstanding Drama, proving the 60s are hotter than ever. 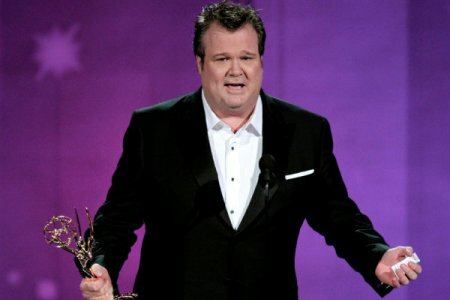 Not sure if I would call Modern Family’s Outstanding Comedy win an upset, but many felt Glee was ripe for the picking. The cast and crew were truly gracious when accepting the Emmy and this creative and smart program truly deserved to be at the podium. While the 62nd Primetime Emmy Awards have come and gone, the impact of Jimmy Fallon and his new interactive theme will hopefully press forward. Take a look at the winners in some of the most popular categories.